I could probably tell you that I purposely planned to do the LYA Postcard Swap blog post as two parts, but, the truth is… I had some cards in another spot from the ones in Part One! And, I’ve gotten a few new ones too! 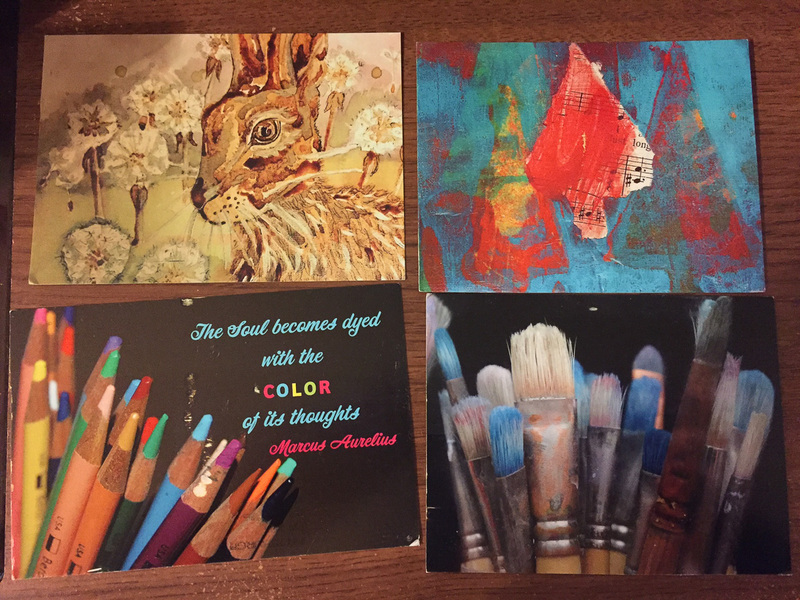 Clockwise from top left is one of Jacques Williamos‘ natural color rabbit cards, Terry Owenby‘s multi media collage, Lynn Radford‘s colored pencils and Deanie Houghtaling’s paint brushes. 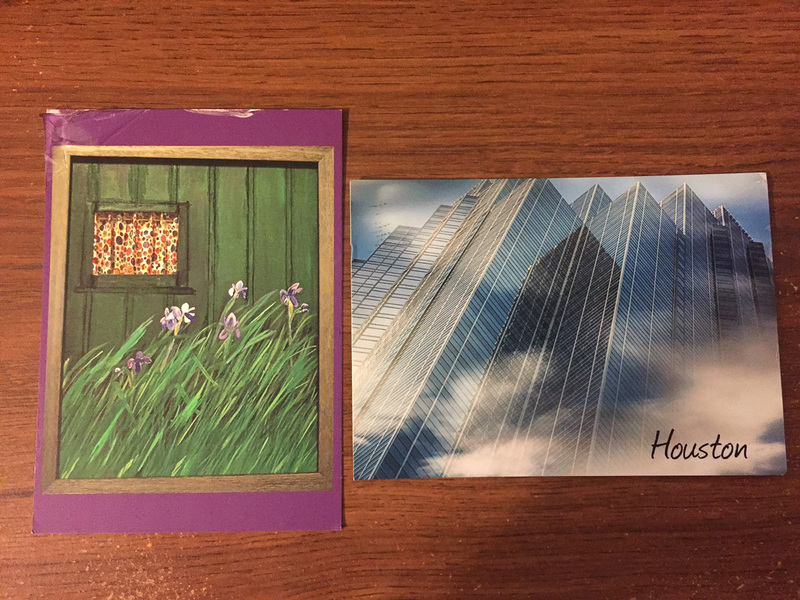 Karen Johnson’s painting of irises and Lisa Comperry‘s photo of Houston’s skyline. Thanks again to all the artists that shared their work! I really enjoyed this year’s swap and sides swaps!